You are viewing the archived Power rating page. Follow the link to view the current Power rating page. Canstar Blue compares 12 leading power companies in New Zealand, including Energy Online, Powershop, Nova Energy, Contract Energy, Mercury and Electric Kiwi. Electricity retailers were reviewed and compared to factors such as customer service, value for money and overall customer satisfaction. Canstar Blue NZ Research finalised in March 2017, published in May 2017. After dominating the ratings for several years, Powershop has finally been replaced at the top of the standings. The new kid on the block is Electric Kiwi, achieving five-star reviews in most categories, including overall customer satisfaction. Which power company is best for you? Electricity tends to be something we take for granted, that is, until the bill arrives. More than one-third (36%) of the New Zealanders Canstar Blue surveyed said they worry about the cost of their power bill, yet many of us aren’t taking any action. Fewer than half (41%) of the respondents we spoke to claimed to have compared power companies in the last 12 months, while only 13% made the switch. However, putting in the effort to compare companies and potentially switch could easily pay off. 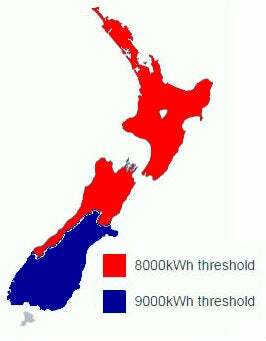 The NZ electricity market is extremely competitive, with more than 30 power suppliers for customers to choose from. 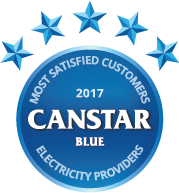 Unfortunately, many of us aren’t taking advantage of this, meaning households are paying more for power than they need to – something Canstar Blue hopes to help with in this 2017 review. Each year, Canstar Blue asks thousands of electricity customers to rate their provider on key criteria, including customer service, bill and cost clarity, value for money and overall satisfaction. This year 12 different power companies received a sufficient response to feature in our results. Electric Kiwi has taken the top spot in this year’s ratings, receiving a maximum five stars in all but one area. This is a particularly impressive feat in light of the fact that this category has been dominated by Powershop for the past five years running. With a new winner crowned and three brands in hot-pursuit scoring four-stars for overall satisfaction, it seems that power companies have really stepped up their game of late. While this is all great news for the customer, this increasing closeness of competition means we have to be more vigilant about regularly shopping around to find the best deal on energy. To get you started, this report will work you through the basics of navigating the New Zealand electricity market and then provide some details about the power companies operating in NZ to help you find a better deal. Your power bill has two components – fixed charges and variable charges. It will also include any additional fees, discounts, rebates and taxes. Daily fixed charge: This is a fixed charge anywhere from 30 cents to $2 per day for standard users. This covers the cost of metering and network maintenance and applies regardless of whether or not you use any electricity that day. Variable rate charge: This is a charge for the electricity you actually use, measured in kilowatt hours (kWh). There are different types of variable rate charges to choose from depending on the type of meter you have. Night only: Nominated appliances are only supplied electricity for eight hours per day between the hours of 11pm and 7am. Similar to a controlled setup, while supply availability is limited, a lower rate applies. Some retailers offer ‘Night booster’ if you needafew more hours of supply. There are two types of electricity contracts in NZ – Standard User and Low User. Some power companies may refer to these types by different names, but they are all principally the same. With no sign up fees, no break fees and no contracts, this independent New Zealand digital enterprise promises to bring you savings by using the latest technology. As well as offering lower power prices, added incentives from Electric Kiwi include a free hour of off peak power usage every day, and it even guarantees to save you money in your first year as a customer. As with all of the other companies we surveyed, Electric Kiwi offers both a low and standard user plan. With a strong emphasis on the environmental impact of the power we use, Flick scored a maximum five stars for its focus on environmental sustainability. As well as three energy pricing options, uncontrolled, inclusive and smart plan option, Flick also offers customers the ‘Choice’ app. Unique to Flick, Choice gives customers the ability to not only check the volume and costs of their power consumption, it also shares details on where that power is coming from (i.e. the percentage of fossil fuels being used). With this additional insight, customers can pick and choose when to use more or less power. Although Powershop gives you the option to pay for power in the more traditional way, it also gives you the opportunity to pre-purchase electricity in advance at lower rates. Through a range of ‘Powerpacks’, available via Powershop’s online store, you can buy your power ahead of time, or as you go, often at cheaper rates. This can help you take advantage of promotional offers and, in some cases, make it easier to budget. Customers can log into their online account through the Powershop website or app, and those with smart meters can closely monitor their usage in almost real-time, helping to improve awareness of power use and potentially reduce costs. As the name suggests, Energy Online is an online provider of electricity and gas. It promises customers great value and offers an additional 20% prompt payment discount. New customers also qualify for $50 off their first bill and an additional $50 off a gas bill if opting for dual fuel. With a simple two-tier pricing structure, there are no contracts so no termination or break fees, giving the benefit of flexibility. Like many providers, Mercury offers both fixed and flexible pricing options. All options include prompt payments discounts of 10% and an extra 2% per year discount if you receive bills via email and pay by direct debit. All customers can also claim a ‘free day of energy’ and new customers are usually offered $100 credit off their first bill and the ‘day of free energy’. In addition, Mercury has partnered with AirPoints and selected e-bike retailers to offer customers optional additional benefits. Nova Energy has two electricity plans on offer – the Home Advantage Plan and the Home Freedom Plan. The ‘Home Advantage’ plan fixes your rates until March 2019 and offers $100 credit on your first bill. This plan is e-billing only and a termination fee may apply if you leave the plan early. The ‘Home Freedom’ plan is Nova’s variable rate contract. It is more flexible than the Home Advantage as there are no contract terms or exit fees. All customers can take advantage of a 15% prompt payment discount when they pay their bills on time and in full. Trustpower is your all-in-one utility provider, offering electricity, gas, internet and phone services. Its power deals are pretty straightforward with few incentives or other gimmicks – just competitive and transparent rates and discounts. Contact has eight residential energy plans, offering a range of discounts and added perks. According to its website, the three most popular plans are Freedom, Fuel Rewards and Saver Plus. All plans come with small discounts for paying by direct debit and receiving e-communications. In addition, paying your bills on time will earn you an additional 20% prompt payment discount. Genesis Energy offers both fixed and flexible bill options plan. All options can include prompt payments discounts of 10% and flexible plans offer an additional 2% discount for dual fuel customers. If you chose to switch to Genesis Energy and opt for a 12 month fixed plan, you will also be eligible to receive your first month of power free, up to the value of $250. There’s also a Genesis app that enables customers to monitor their energy usage, obtain an estimate on what their bill will be and pay the bill when it does arrive. Recommend a friend to join an applicable Genesis plan and you could both earn an extra $50 each off your bills. Meridian offers both fixed and variable rate plans – both coming with 11% prompt payment discounts and a $200 introductory credit if you are a new customer. Online tools include bill shock and energy binge alerts that send you emails if your bill or energy usage looks unusually high. Pulse offers various plans together with a structure payment option that helps you spread the cost of your bills across the year. It also promises to protect the price of your power for three years, although this shouldn’t be confused with the cost of delivering power to your property. Providing a customer gives Pulse 30 days’ notice, no exit fees will be charged. Globug is an online service that let you buy your power as you need it. It offers a single variable rate pricing plan, although you need to specify whether you are a low or standard user. As with all providers, costs depend on the region you live in. If you go into debt on your account, a percentage of your next top-up payment is used to reduce that debt over time. No additional fees or interest is charged on your debt. Who is the cheapest power company in New Zealand? Also, don’t overlook the little guys. While the larger power companies can claim their market power allows them to offer the best value, many smaller power companies have produced some innovative approaches to energy that may help your dollar go further. P2, for example, is New Zealand’s only peer to peer solar trade platform, while Giving Energy lets customers donate to organisations simply by paying their bills. A large portion of the rates you’re charged for electricity are attributed to distributor costs, meaning the price you pay will vary across different distribution networks. Perhaps factor in potential price of energy if you’re considering moving to an area that straddles multiple networks. Anyone can find a great deal on energy, so long as they’ve educated themselves about their options and done some research. New Zealanders have plenty of power companies to choose from, so it’s important to regularly canvass the market to see if you can find a better price. Canstar Blue’s customer satisfaction ratings give a direct insight into what other energy customers think about a particular brand, making it a great place to start comparing. Good luck! Canstar Blue commissioned I-view to survey 2,500 New Zealand consumers across a range of categories to measure and track customer satisfaction. The outcomes reported are the results from customers within the survey group who currently have an electricity account and pay the bills – in this case, 2,108 New Zealanders.